Basement and attic floor plans. 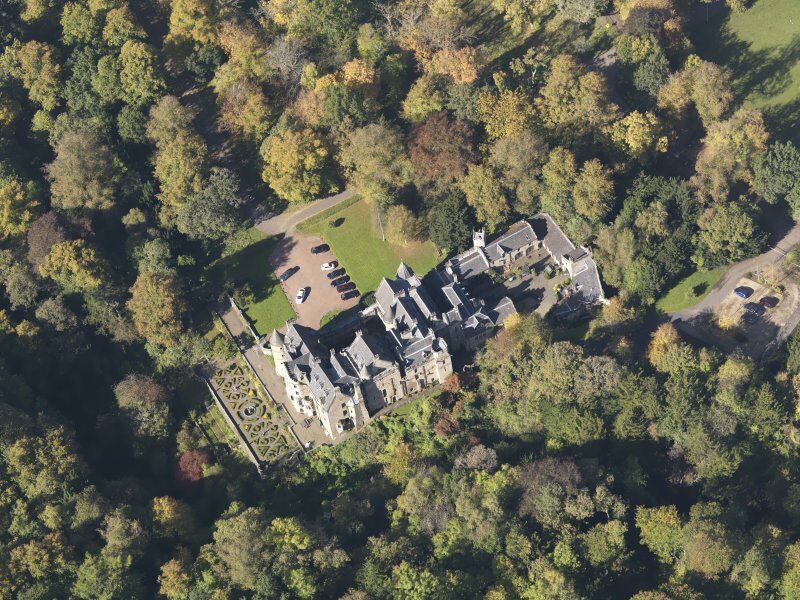 Oblique aerial view of Dalzell House, taken from the NW. 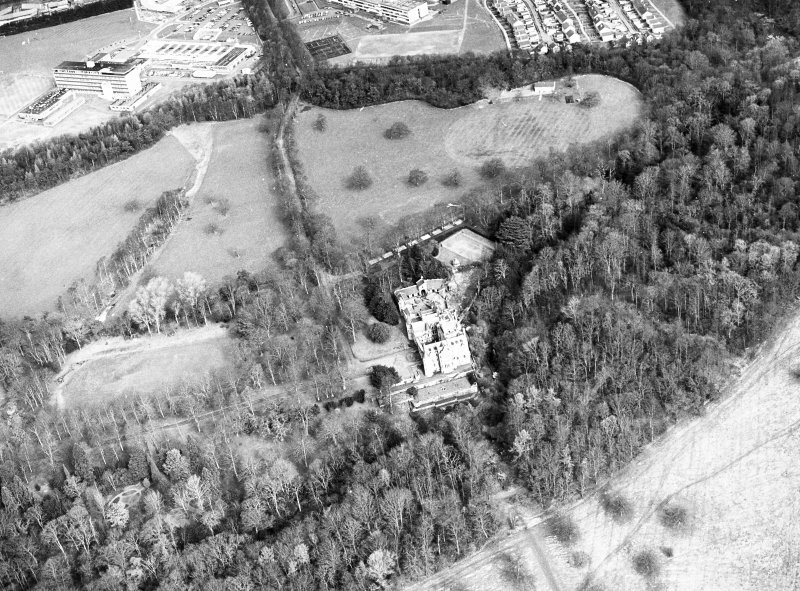 Oblique aerial view of Dalzell House, taken from the NNE. Interior. 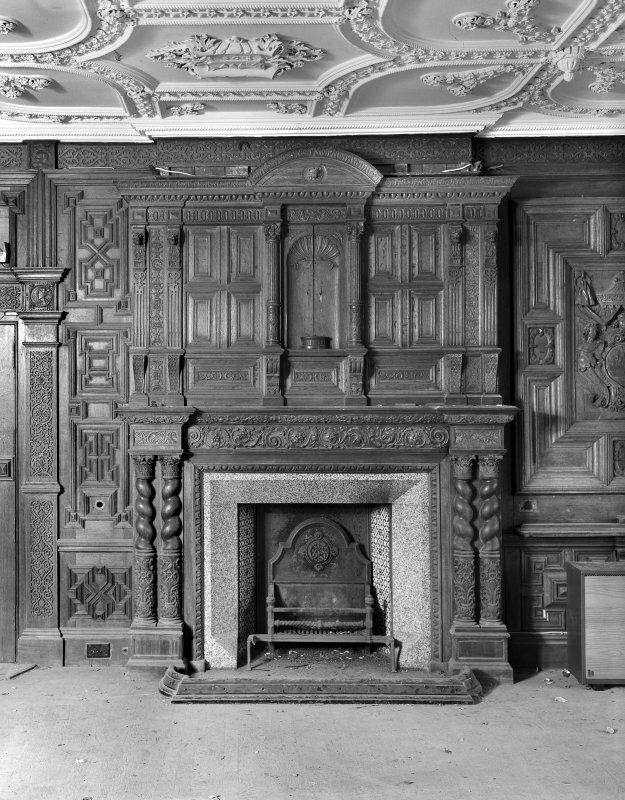 Detail of chimney piece and overmantel in drawing room. 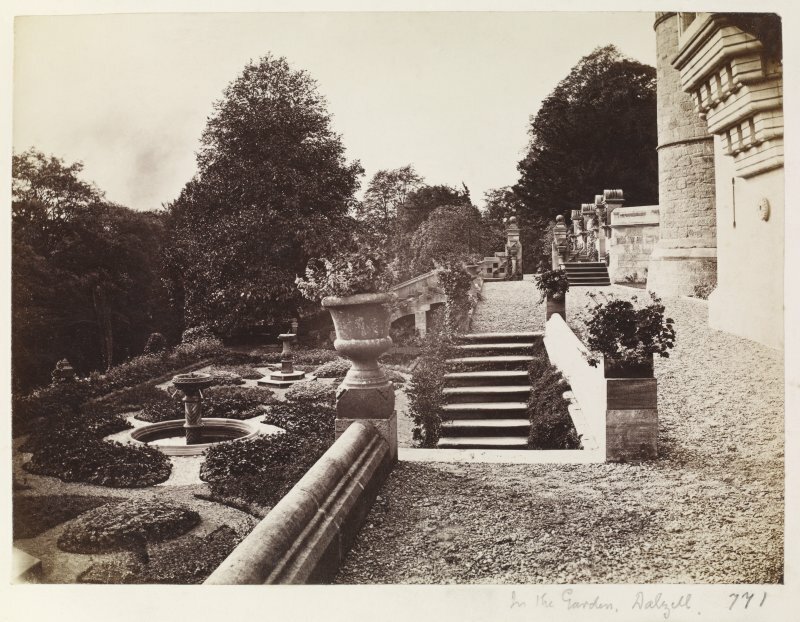 General view, photographic copy of an original sketch dated 1847. 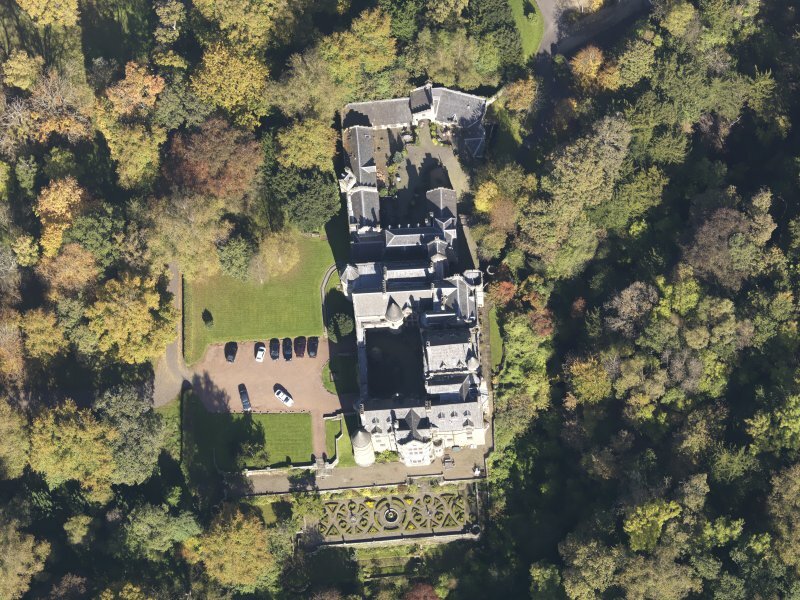 Oblique aerial view of Dalzell House, taken from the SSE. 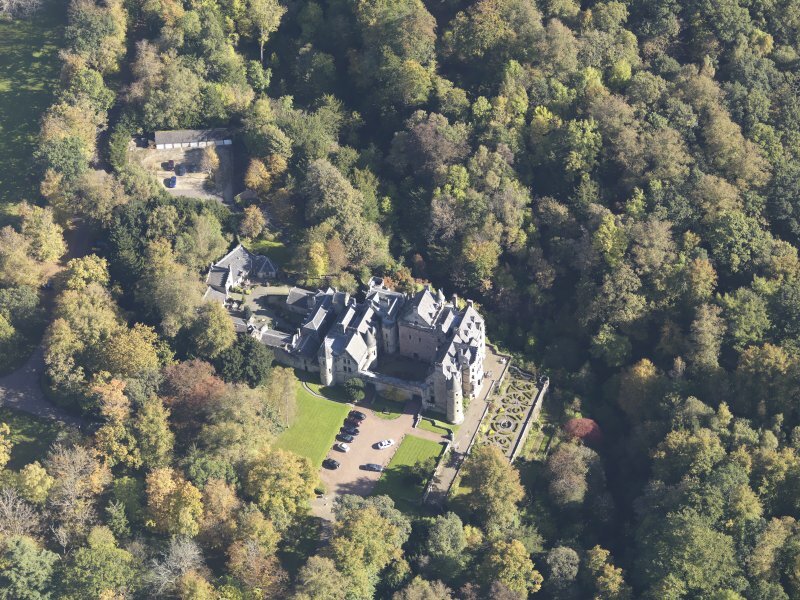 Oblique aerial view of Dalzell House, taken from the SSW. 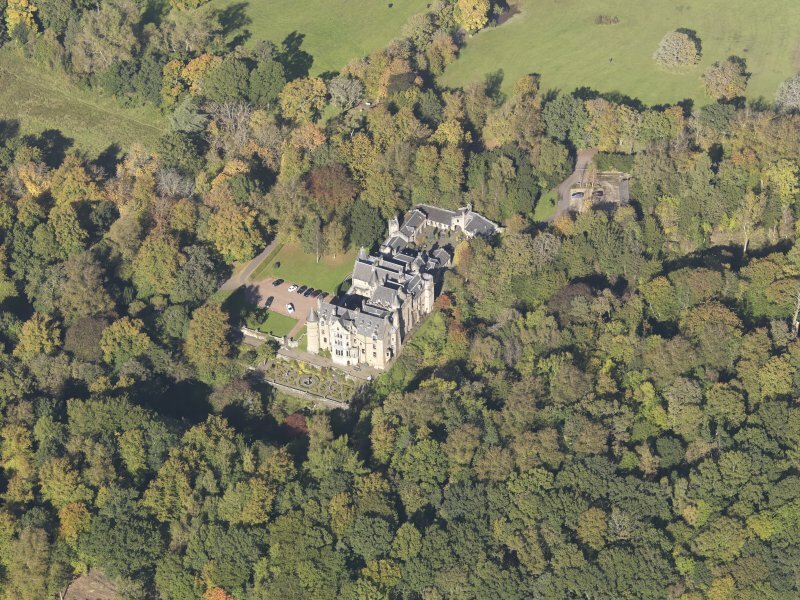 Oblique aerial view of Dalzell House, taken from the NE. 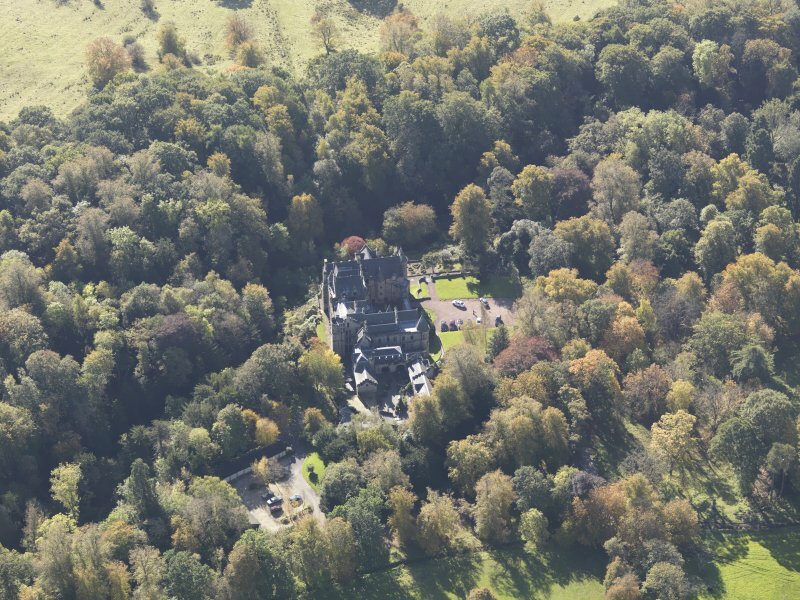 Oblique aerial view of Dalzell House, taken from the SE. Interior. 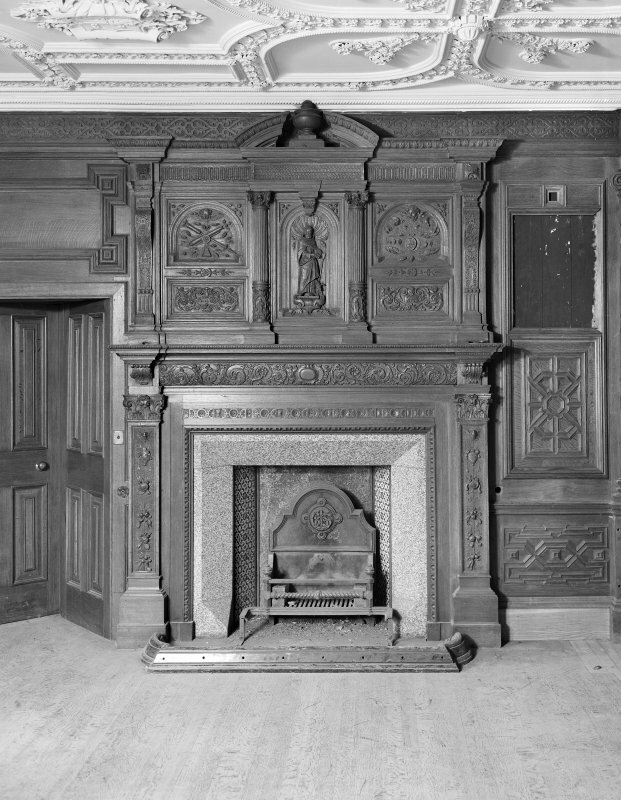 Detail of E chimney piece and overmantel in drawing room. 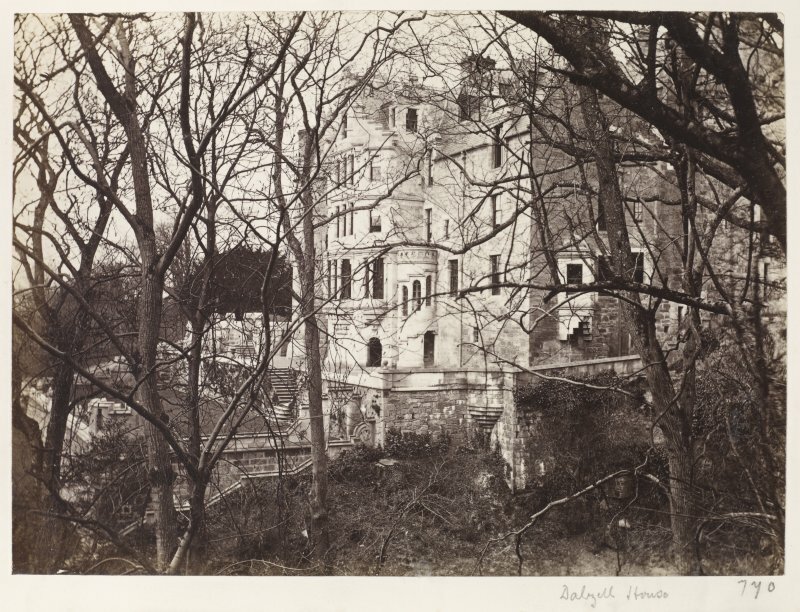 Photograph of Dalzell House. C62645 General view. 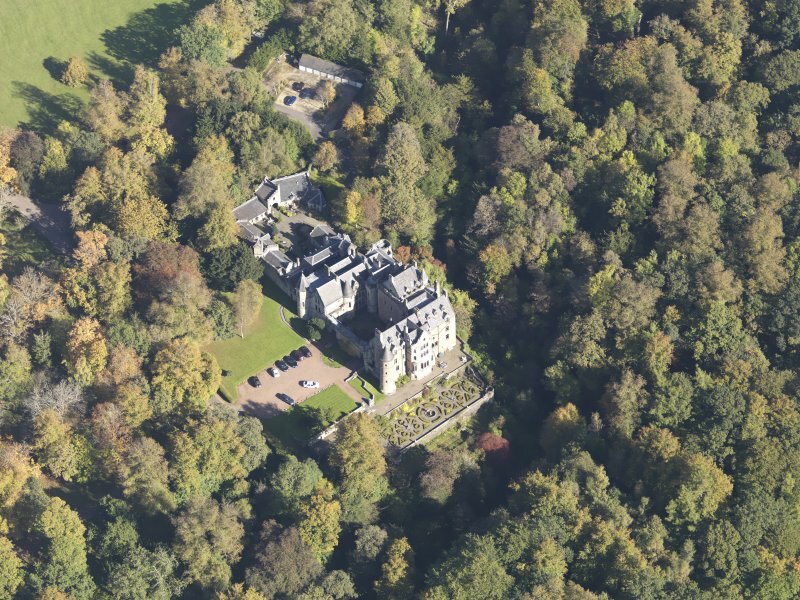 Oblique aerial view of Dalzell House, taken from the S.
Oblique aerial view of Dalzell House, taken from the SW.
Oblique aerial view of Dalzell House, taken from the WSW. 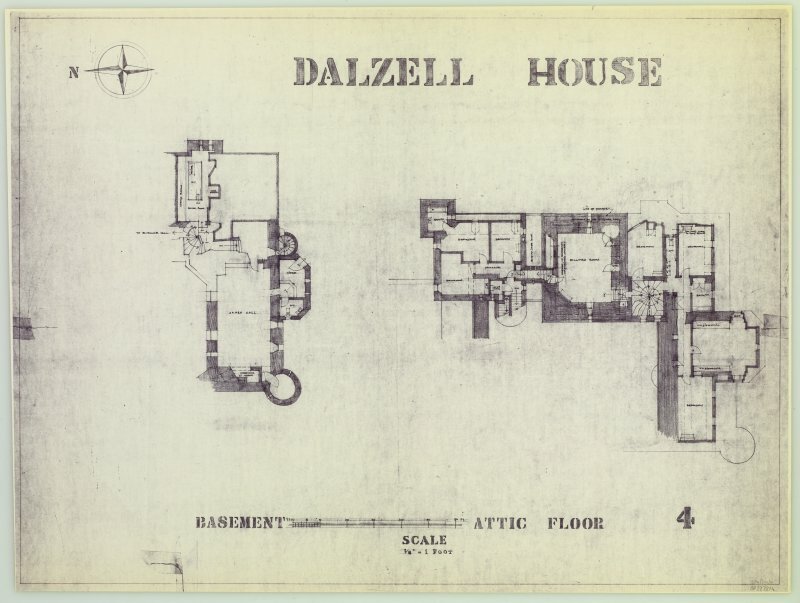 The buildings of Dalzell House form a courtyard. 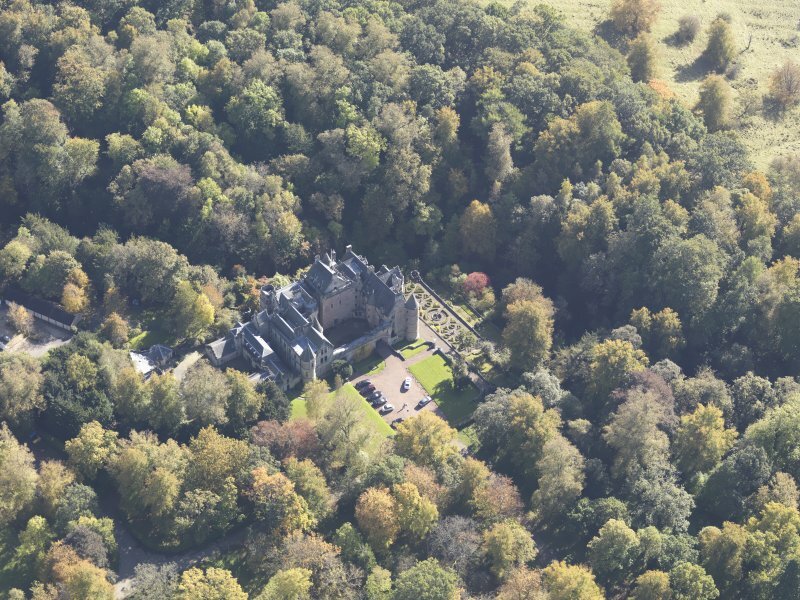 In the centre of the east side is the keep, the earliest portion of the building, and probably of early 16th century date. 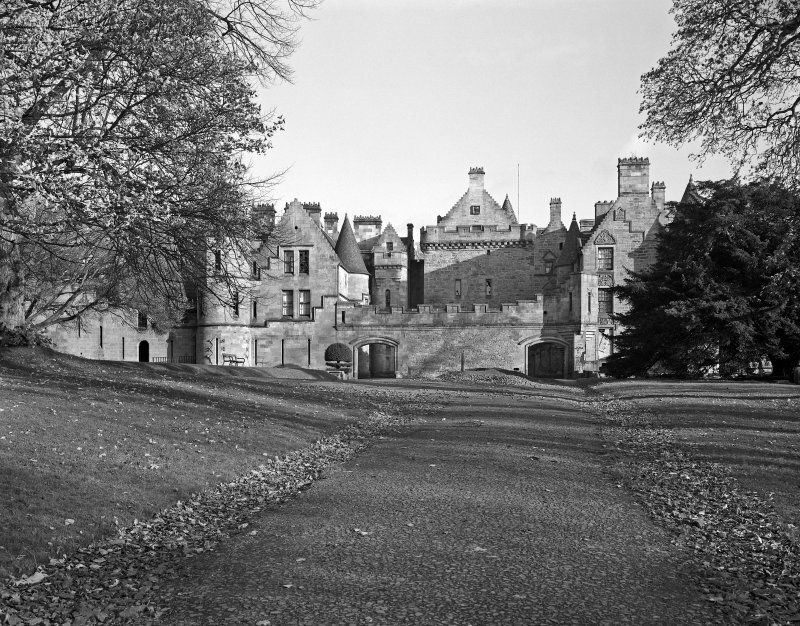 The buildings immediately on the north and south are of 17th century date; while those on the north side of the courtyard were constructed about 1857. 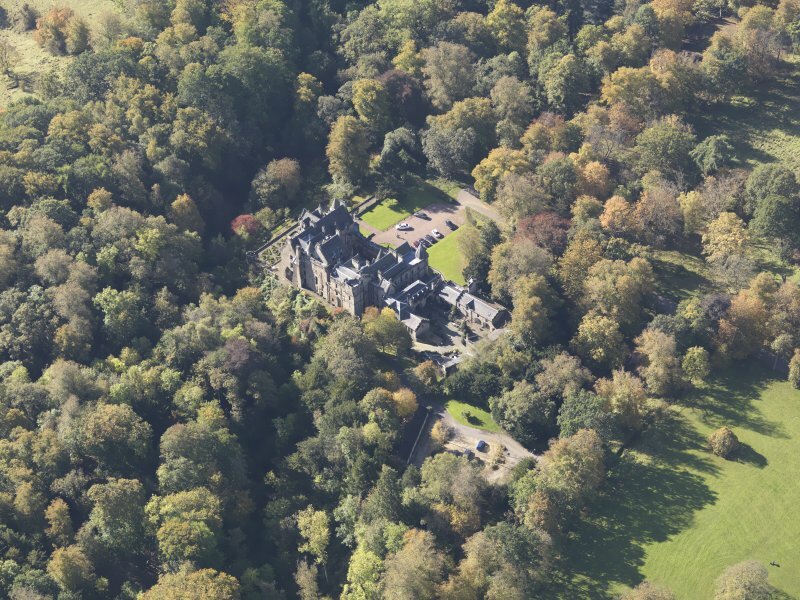 The original castle was naturally well defended on the east and south sides, and there were indications of a moat along the west side. 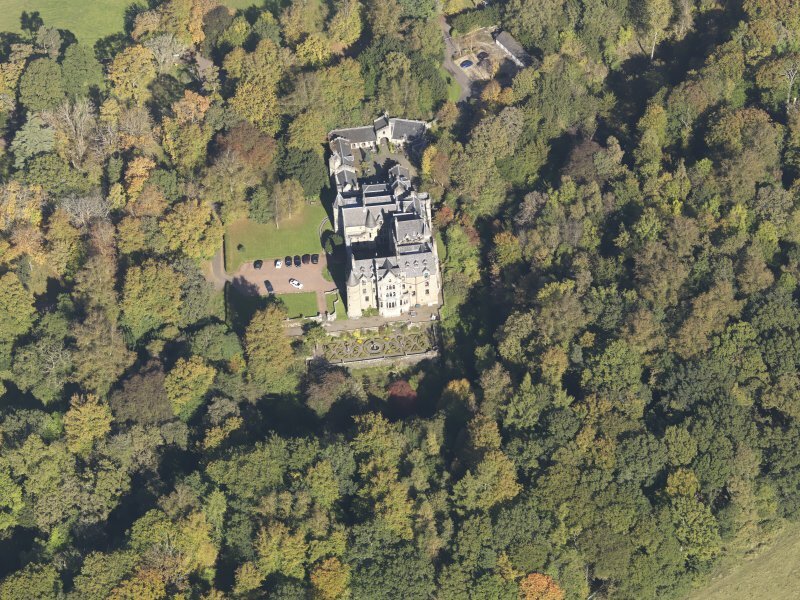 The keep is massive, measuring 39ft x 32ft, and is 48ft in height. Immediately inside the doorway was a portcullis. 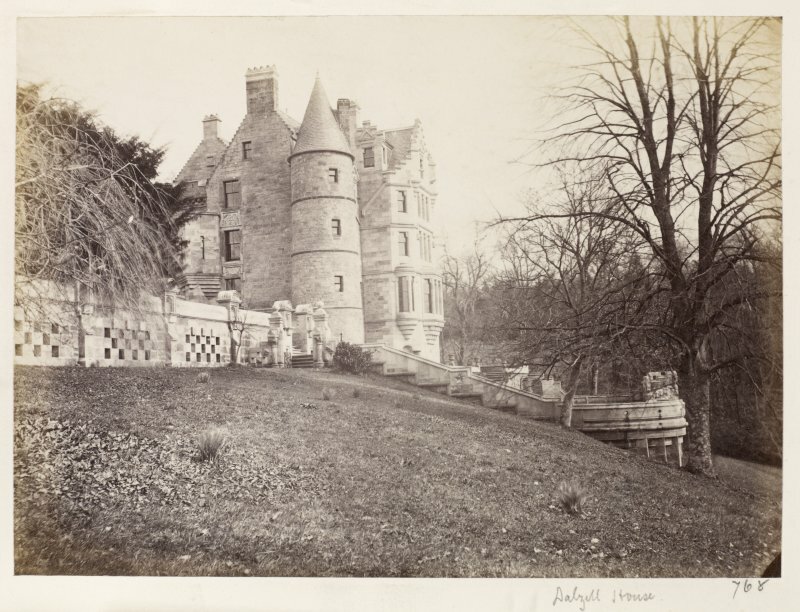 The following particulars are contained in a document possessed by Dalzell Estate Factor (J Kelly). Old kitchen under drawing room (about 1350). Tower (about 1450). Servants' hall (about 1550). 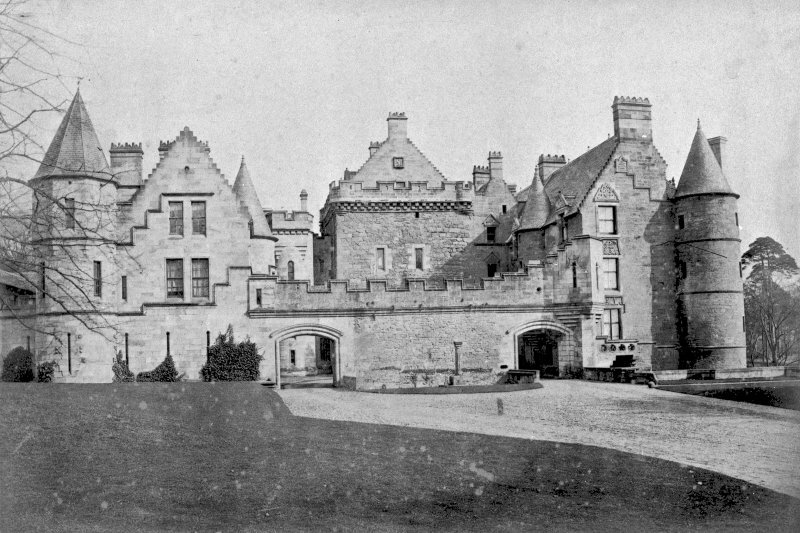 South Wing (about 1650). 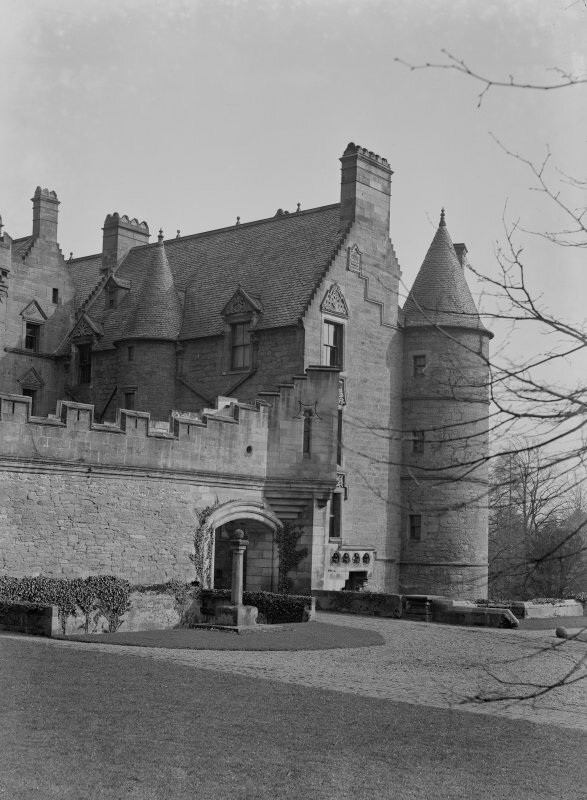 Dalzell House: Keep (in centre) and kitchen vault would appear to be of 15th century work, and are the earliest parts of the mansion. The south wing, as stated above is typical 17th century work, but has been considerably restored. 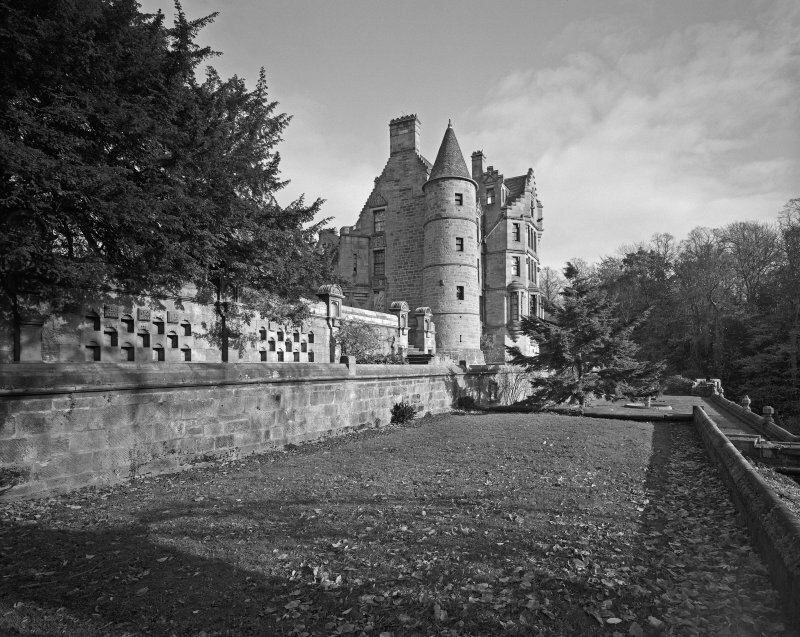 There are many 19th century additions and restorations. 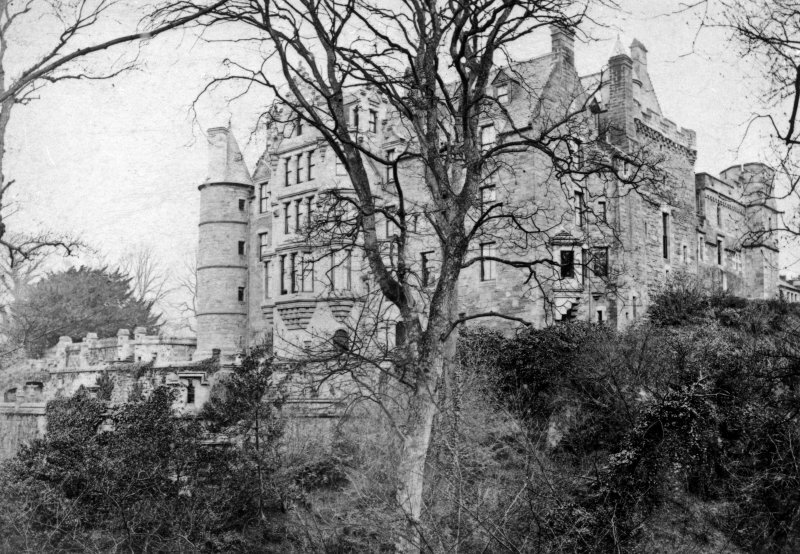 The whole of the north wing is of this latter period. 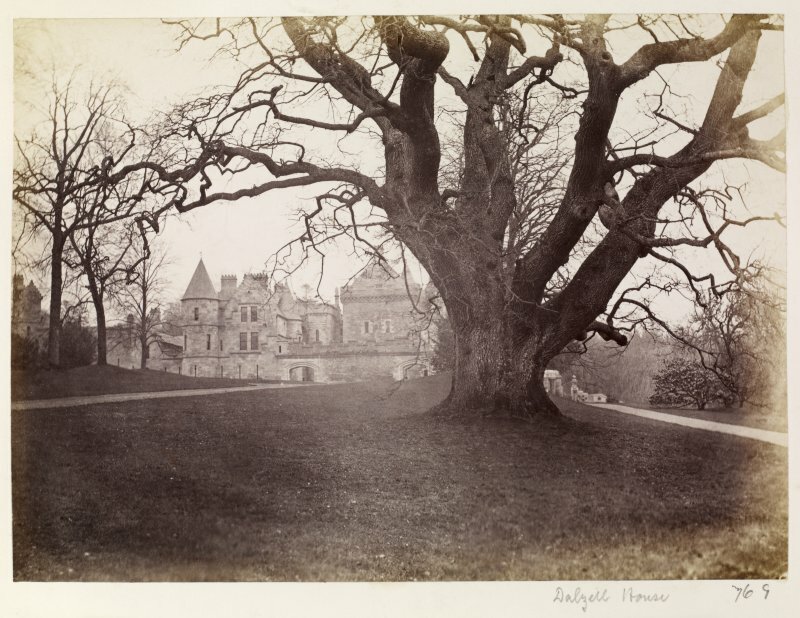 A stone in the south wing confirms that this was restored in 1869, after having suffered from an outbreak of fire. The wall on the west of the courtyard appears old, but it, too, has been restored. 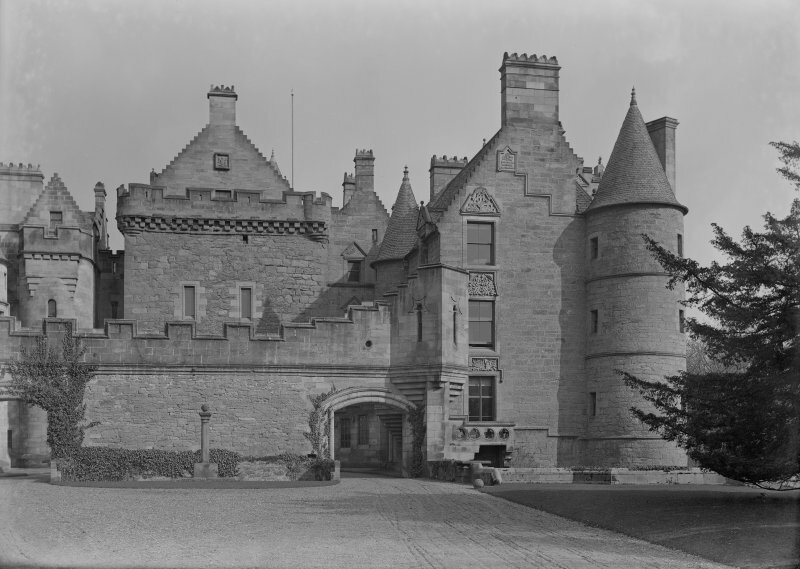 There is a ditch immediately in front of courtyard wall on the west; but this appears to be purely ornamental, although the keep may have been fronted by a moat or ditch. 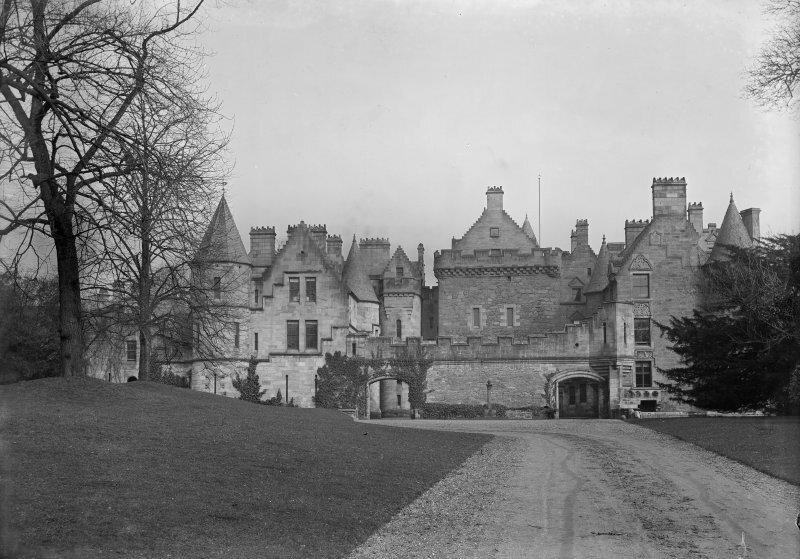 The mansion is now a school, and is in an excellent state of preservation. 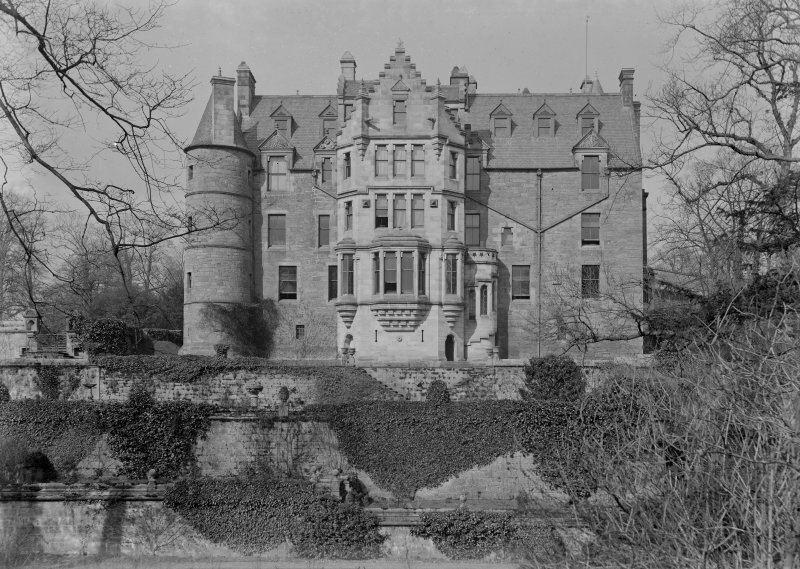 Dalzell House was converted into private flats in 1987. 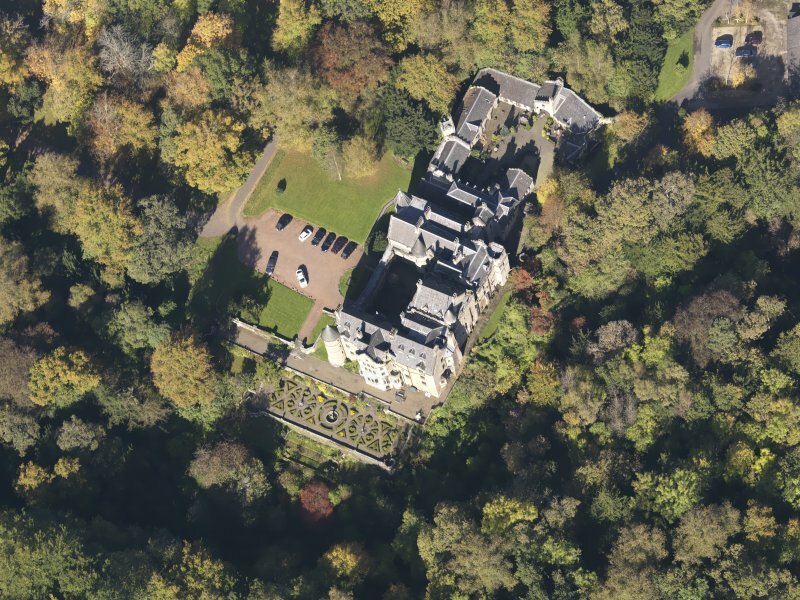 Information from RCAHMS (HMLB), October 2001. 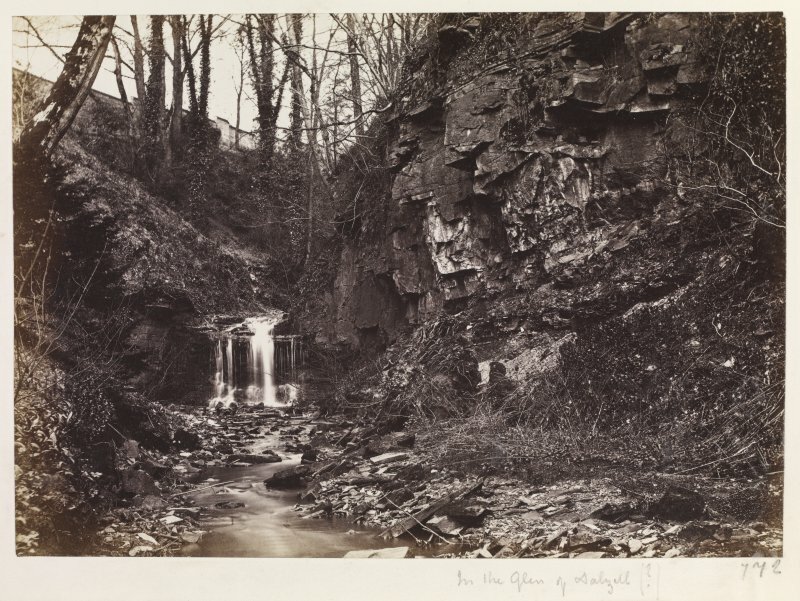 Photographs of Lanarkshire scenery by J M'Ghie, Hamilton, published by W Ritchie, Edinburgh. 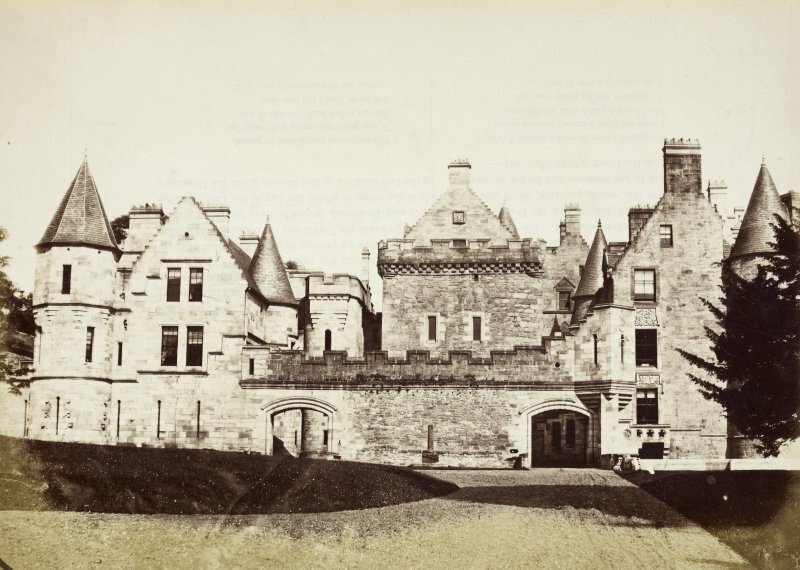 Inscribed 1867.
p 8 Courtyard entrance front.